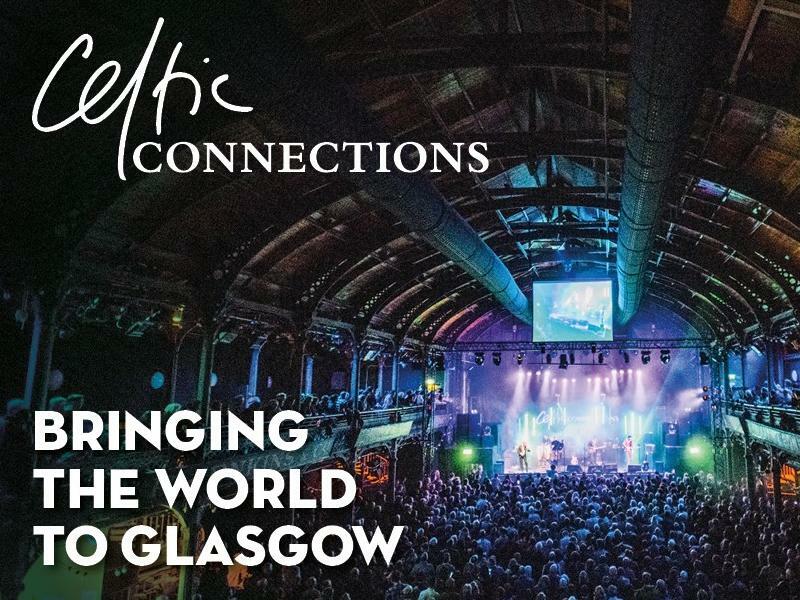 The world-leading annual music festival Celtic Connections begins tomorrow with over 300 events taking place in venues across Glasgow! Around 100 young musicians from across Scotland and Showcase Scotland partner-country Galicia will take to the stage of the Main Auditorium at Glasgow Royal Concert Hall, alongside some of the most well-respected Scottish musicians to have emerged since the festival first began in 1994. Syne of the Times will star young musical talent from the 45 Fèisean (Scottish Gaelic Arts Youth Tuition Festivals) now held annually around Scotland, the Orcadian youth music project Hadhirgaan and Galician folk orchestra SonDeSeu. Artists including Julie Fowlis, Duncan Chisholm, Lauren MacColl, Michael McGoldrick, Donald Shaw, Aidan O’Rourke, Brighde Chaimbeul and recently crowned Trad Awards ‘Folk band of the Year’ Daimh will be among a host of other special guests performing as part of the Celtic Connections Opening Concert for 2019. This very special show will celebrate the passing on of the tradition through generations. It will be the first of over 300 events featuring more than 2,000 musicians from around the world, taking place in venues across Glasgow until Sunday 3 February. The packed programme features a host of concerts including one-off musical collaborations and special commissions alongside talks, workshops, film screenings, theatre productions, ceilidhs, exhibitions, free events and late-night sessions. In a programme rich with Audio-Visual shows, highlights include the world premieres of Brave in Concert and The Bard’s Tale. The hugely popular Disney movie Brave will be screened with the BBC Scottish Symphony Orchestra performing the music from the film live, alongside solo performances from artists who appeared on the original soundtrack. The score was written by award winning Glasgow-born composer Patrick Doyle, who the festival will also be celebrating with a special one-off show to mark his 65th birthday. For the first time Gaelic culture and the gaming world collide with The Bard’s Tale. Featuring the sublime voices of Kathleen MacInnes, Fiona Hunter, Eilidh Cormack, Kim Carnie and Mackenzie, Simple Minds bassist Ged Grimes, who has also composed all of the live music, will lead a stellar backing line-up of Gregor Philp, Ali Hutton, Innes White, Màiri Chaimbeul, Martin O’Neill, Ewen Henderson and Brian McAlpine. This show will be a virtual quest through 18th century Scotland incorporating synchronised video, gameplay, drama, and live music that was originally composed for the computer game The Bard’s Tale IV: Barrows Deep. Music created at song writing workshops run by Glasgow’s Vox Liminis Distant Voices organisation, which brought together Scottish musicians with people affected by criminal justice issues and featured on the 2018 album Not Known at This Address, will be performed live by co-writers Kris Drever, C Duncan, Emma Pollock, Admiral Fallow, Rachel Sermanni, Pronto Mama, Fiskur and Donna Maciocia. The Distant Voices project will also be explored in a talk and discussion.